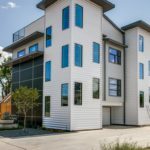 Knox View homes is an exclusive architect designed community of four single family innovative modern residences located in Knox District one of most coveted, upscale neighborhoods in Dallas. Exceptional architectural elevations with creative interior plans that incorporate indoor outdoor living on every floor set these homes apart. Developed with abundant space and landscape between the homes with no shared living walls and windows on threes sides of the home provides the natural light and privacy all home owners desire. Two unique Ingenious floor plans with first floor open living and dining featuring dramatic vaulted ceilings, walls of floor to ceiling windows and doors that open to a spacious yard off the dining room. 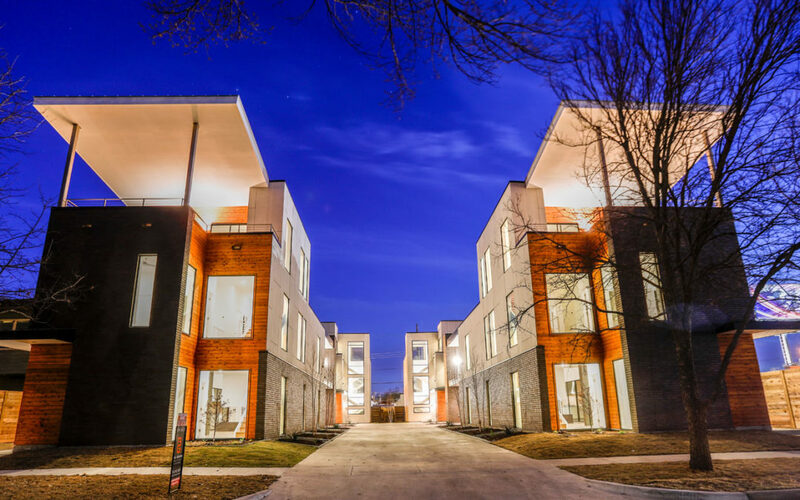 The second level boast ten foot ceilings with a loft hall to the three bedrooms each with private baths. all masters bedrooms include private oversized covered balconies large walk in closets that can be customized for each homeowner. Spa like master bath with sleek soaking tub, spacious floating dual sink vanity, and massive walk in shower. Third level is designed for entertaining with media rooms that open to massive roof decks. powder baths conveniently located on 1st and 3rd level. 5012 & 5016 Vickery design plan includes formal entry hall and a free standing open flame Bio Fuel fireplace between the living and dining rooms with floating double sided mantel which can be removed for buyers wanting a more open space. Vaulted 2 story ceilings in the dining room that opens to large courtyard. This plan has a first floor formal study with a large 17’x 14’ media room on the third floor that opens to a 18’ x 12’ covered deck. 5014 & 5018 homes have a spectacular formal living with three story windows and floating staircase. 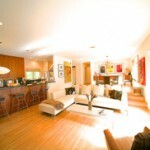 The living area opens to large outdoor entrainment area plus a yard. a distinct dining room off the kitchen. The master suites on this plan has balconies facing downtown and have an added amenity of a coffee bar off the master bath. The study and separate media room are located on the third floor with direct access to the 19’ x 16’ deck with downtown views out of every room. There is a powder bath and built in kitchenette conveniently off of the media room. Exterior Finishes: large scale modern low E thermal Double Pane windows by Milgard throughout, Masonry king brick, double wrap tyvek, Commercial 17mm fiber Cem Clad concrete board with 50 year manufacture warranty. This concrete board is used on all Telsa Car dealerships. a n d s m o o t h p l a n k 6 ’ c e d a r e x t e r i o r , 5 2 s h a f t p i e r s P e r Slab. Commercial 60 mil TPO and 24 gauge standing seam metal roofing, Pli-dek, Interior finishes: Diamond polished concrete floors on the first level, 3/4 hardwoods on the second level, steel staircases. Custom cabinets throughout, Bertazzoni stainless appliance package with 36” gas range, matching vent-a-hood, refrigerator & dishwasher. Quartz counters and stone tile in all kitchens and baths, German plumbing fixtures by Hansgrohe, Homes are wired for remote control electric shades, security systems with key pads and sensors, speaker wires throughout living areas. Multi zone HVAC, 75 gallon re-circulating hot water, Cat 6 multimedia wiring. All Foam insulation. Architects: Dan Finnell with EST.11 & Leonardo sangri GonzaleZ with HKS. 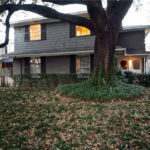 *SUSAN GRIFFIN & BILL GRIFFIN REAL ESTATE 3626 N. Hall St. Suite 814 Dallas, Texas 75219 office: 214-742-2424 www.billgriffinrealestate.com All information and measurements are approximate.The Information contained herein is furnished by the owner to the best of his knowledge. But is subject to verification by the purchaser. The Broker and agent assume no responsibility or liability whatsoever for any of the representations contained herein, including the accuracy or truthfulness of the information. The offering is made subject to any and all errors, omissions, misrepresentations, or changes of price, prior sales, or withdrawal or offer rescission without any advance notice in accordance with the law. This property is offered without respect to race, creed, color, handicap or national origin. 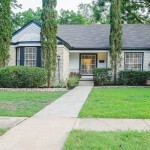 Call Susan Griffin, 214-641-8231 or click here for more information. 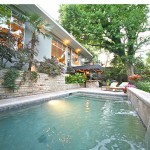 Susan Griffin Lists 6939 Santa Monica Dr.